ARGAN OIL SMOOTHNESS & BEAUTY perfectly washed, gives a sense of hydration, improves skin condition and elasticity. 91% of the ingredients are of natural origin. Directions for use: Apply a small amount to clean and towel-dried skin, gently massage until fully absorbed. Enjoy the mysterious and seductive scent lingering on your skin! ARGAN OIL SMOOTHNESS & BEAUTY body balm. Moisturizes and softens the skin, giving it a velvety touch. 98 % of the ingredients are of natural origin. Directions for use: Apply a small amount to clean and towel-dried skin, and gently massage until fully absorbed. Enjoy the mysterious and seductive scent lingering on your skin! 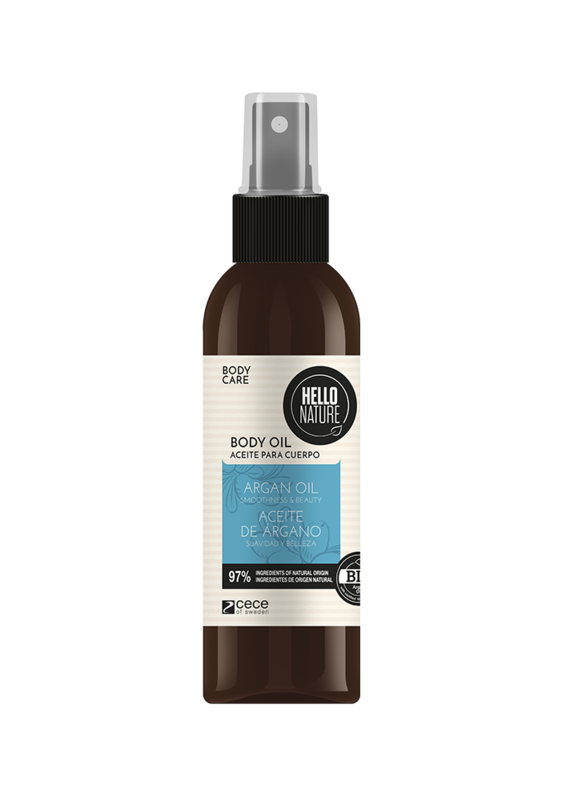 ARGAN OIL SMOOTHNESS & BEAUTY body oil. Intensly moisturizes your skin and restores its smoothness and softness. Directions for use: Pour a few drops of the oil into your palms and rub all over the body. Relax and enjoy the mysterious and seductive scent lingering on your skin! Deeply moisturizes softens the skin, giving it a velvety touch. Directions for use: Apply a small amount to clean and towel-dried skin, gently massage until absorbed. Enjoy the mysterious and seductive scent lingering on your skin!